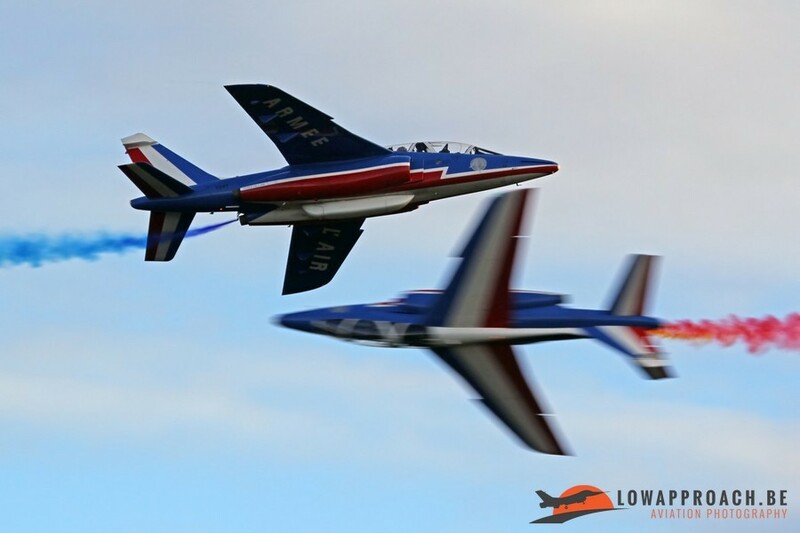 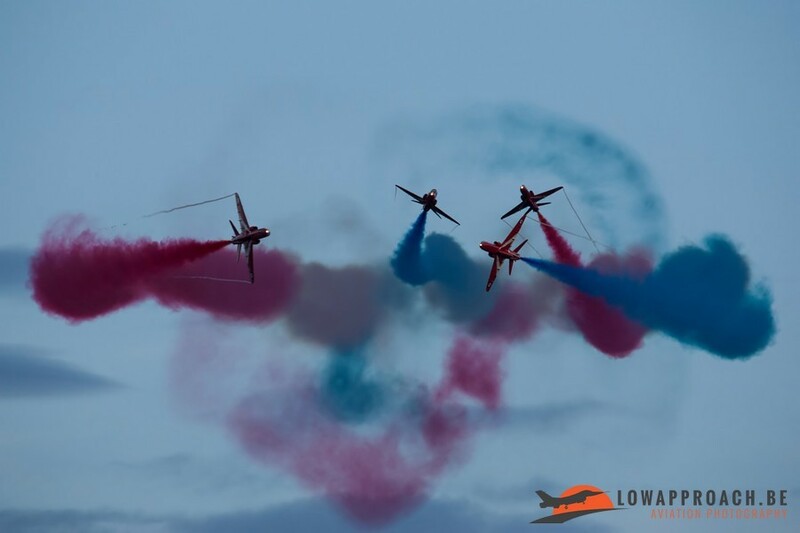 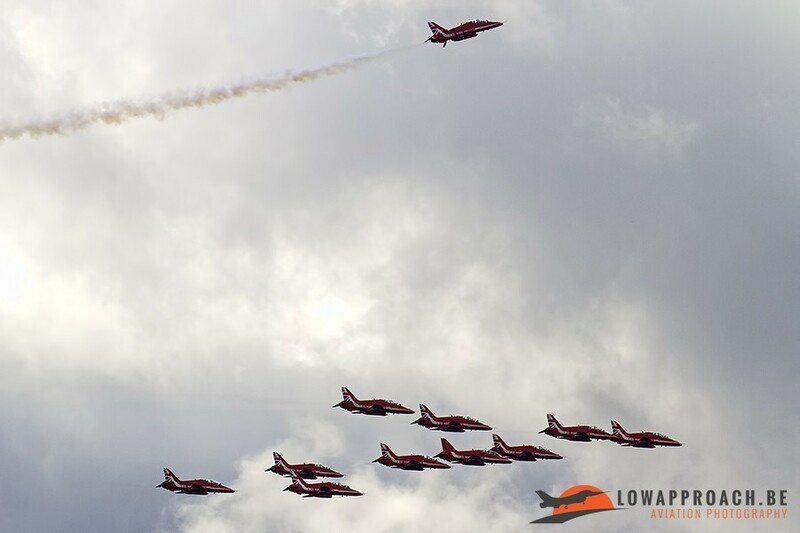 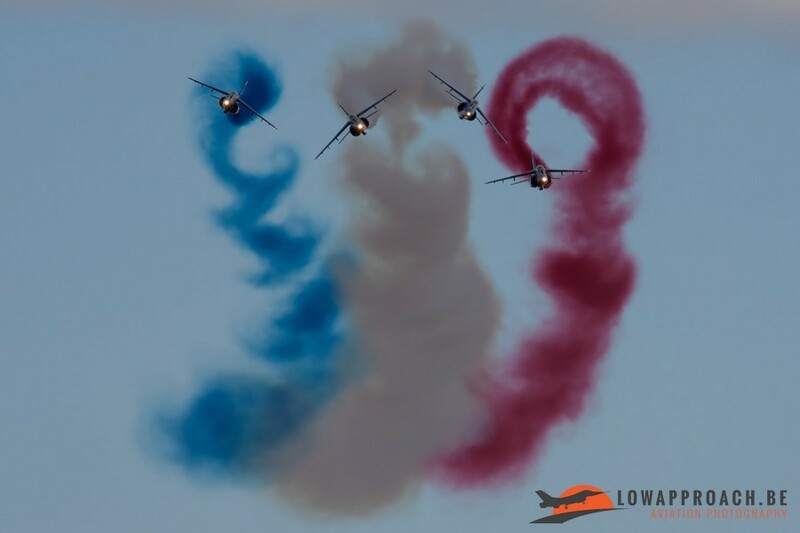 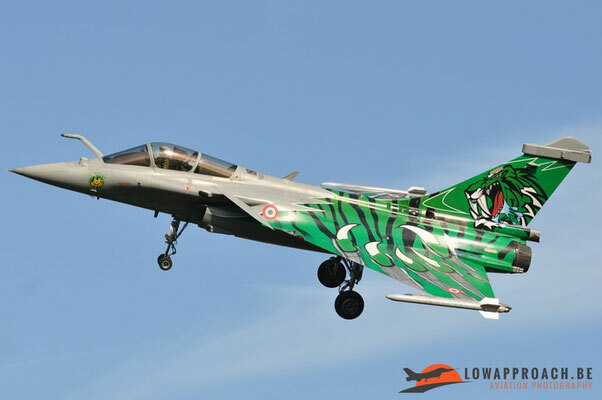 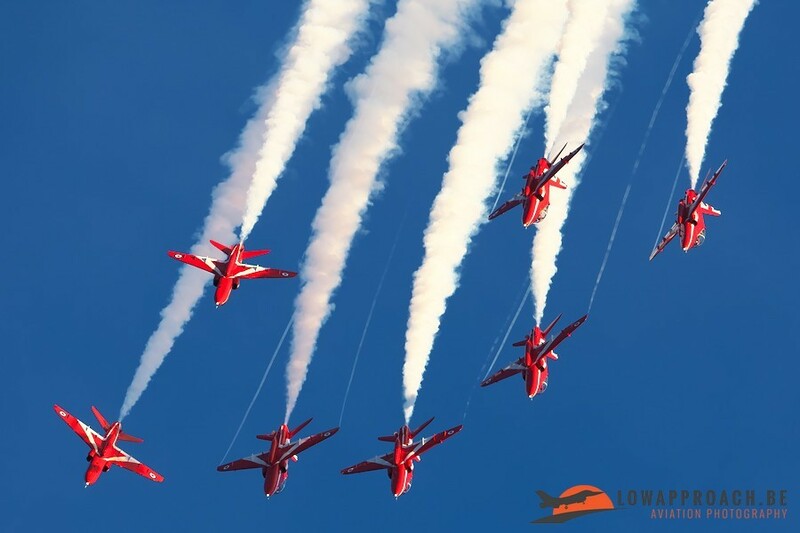 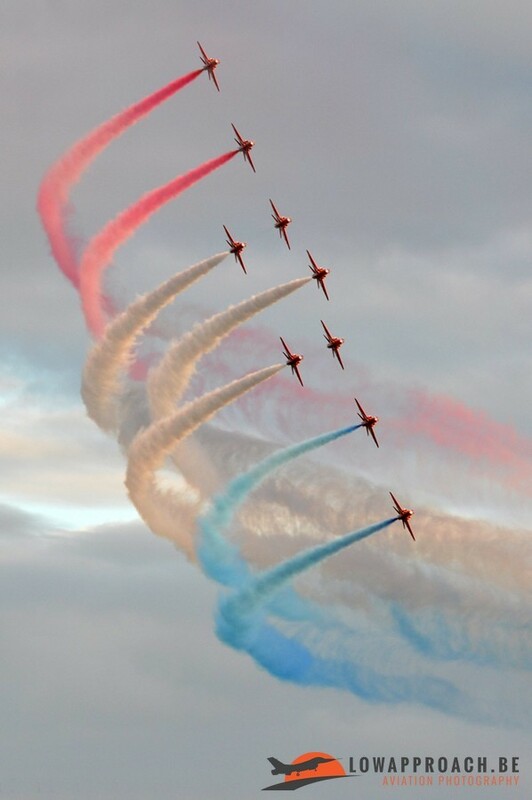 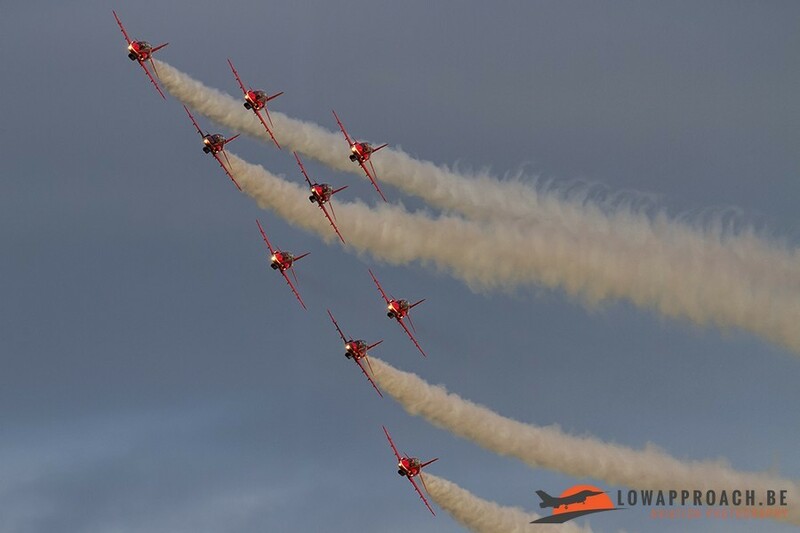 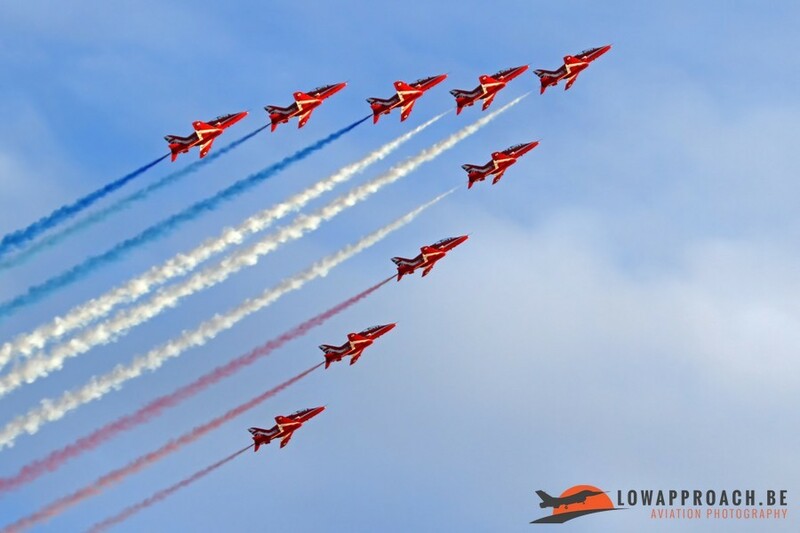 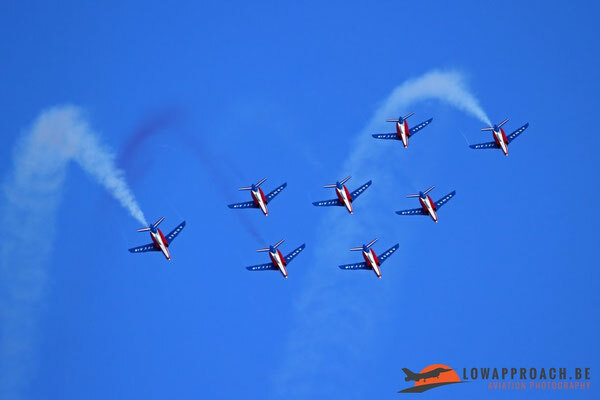 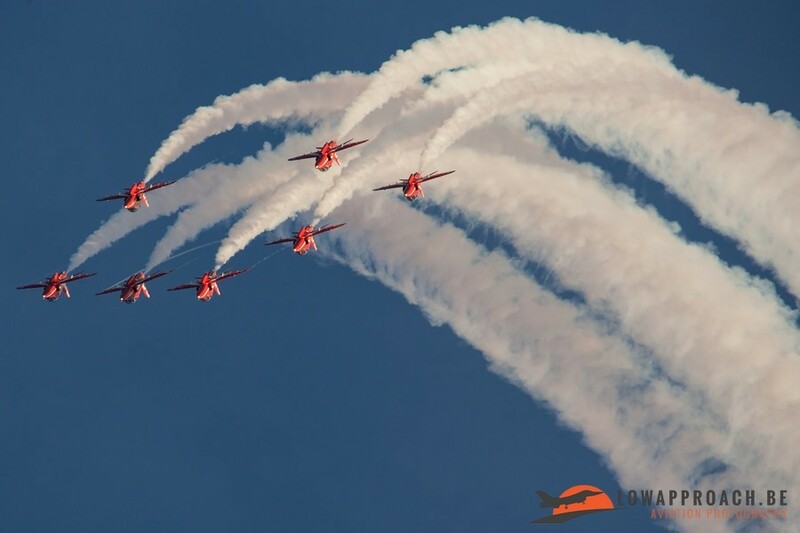 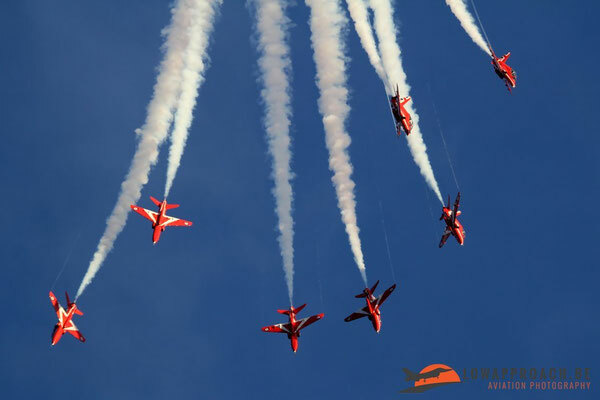 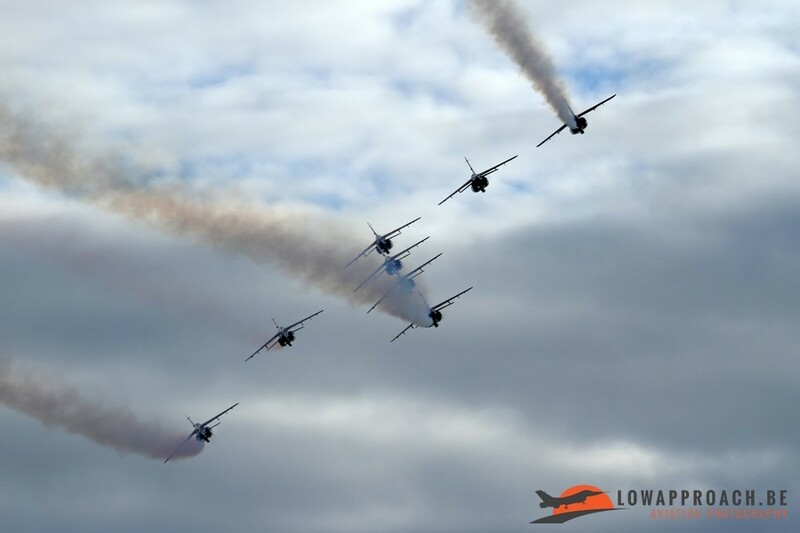 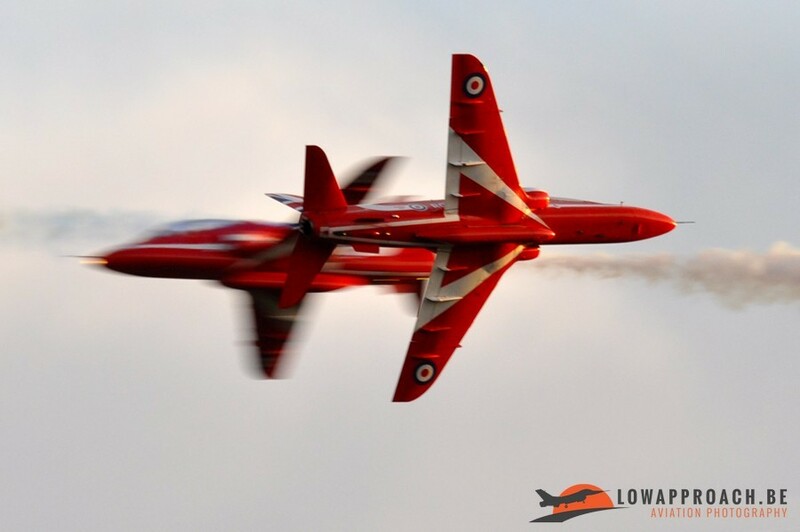 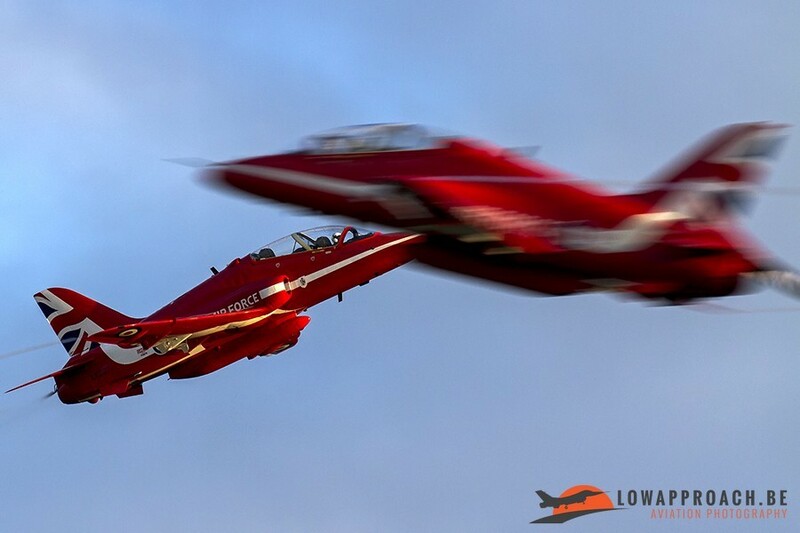 On Friday 18th and Sunday 20th of September the Sanicole International Airshow took place. 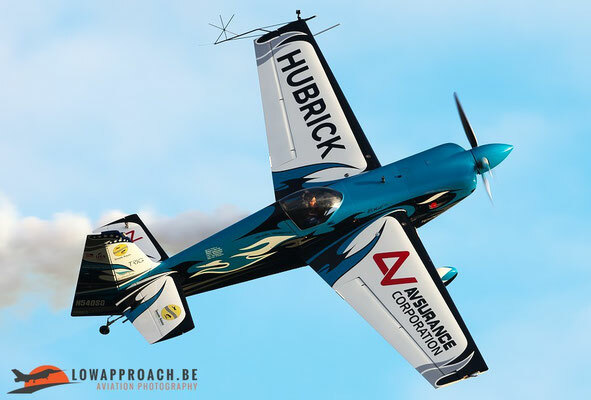 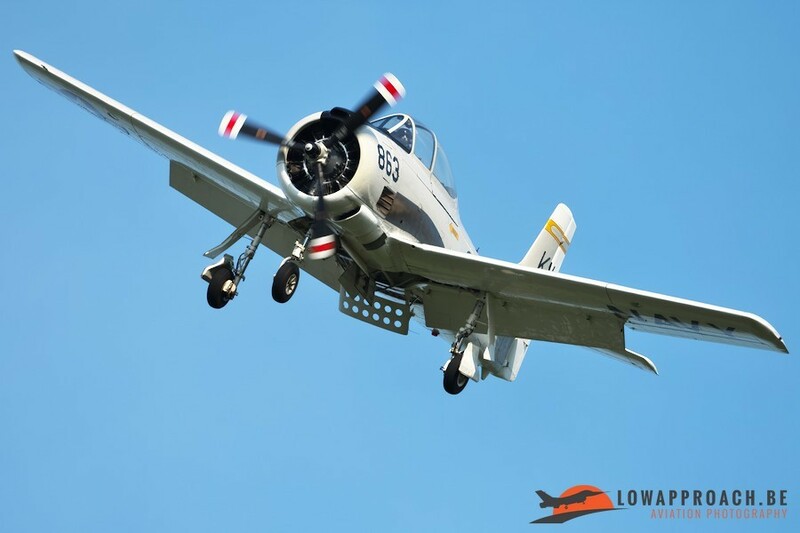 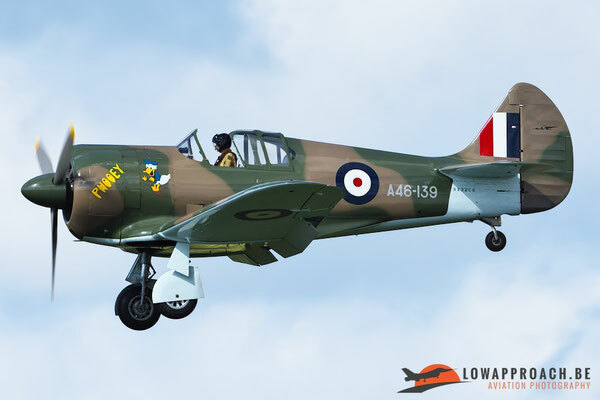 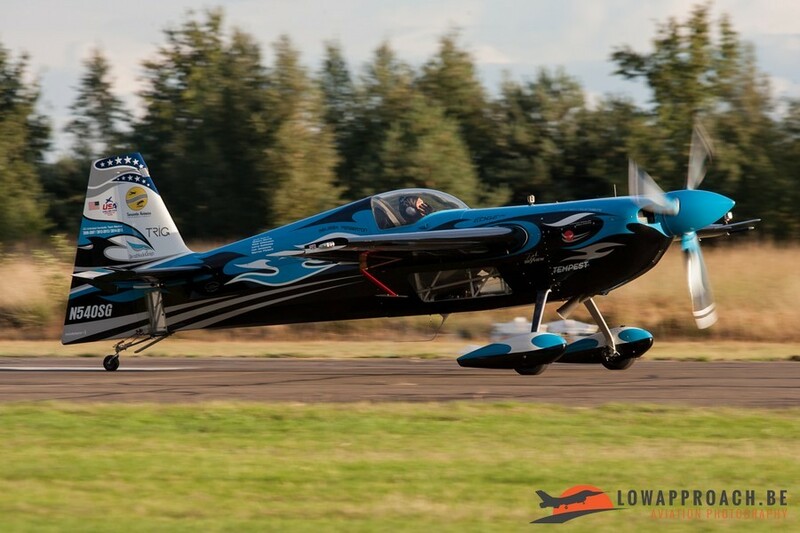 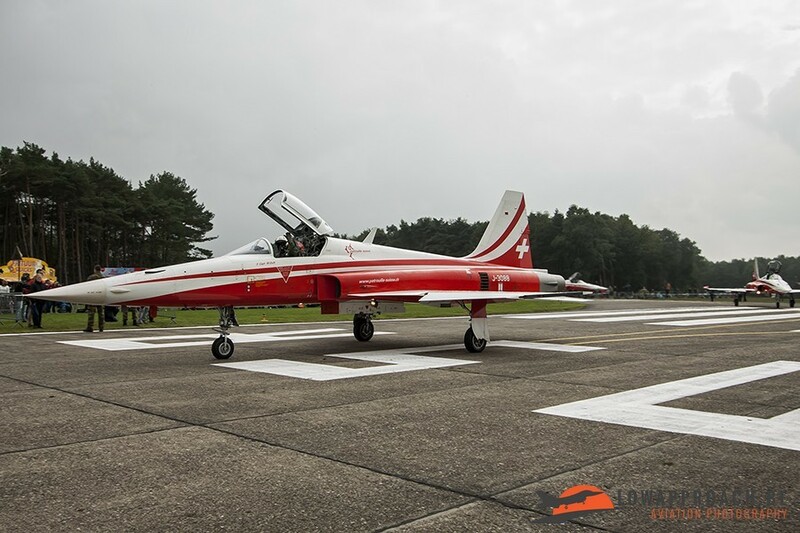 This airshow takes place on the small airfield of Aeroclub Sanicole in Hechtel. Because of the short concrete runway only light motorized aircraft and helicopters can land on the airfield. 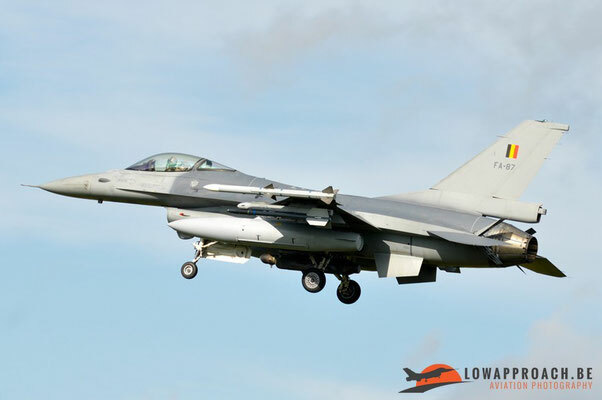 Heavier aircraft and jet aircraft mostly operate from the nearby Kleine Brogel air base. 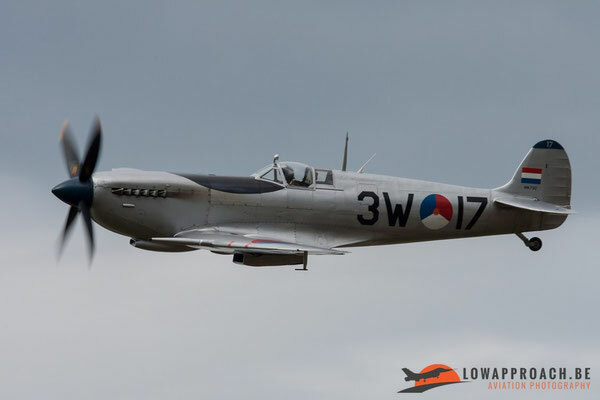 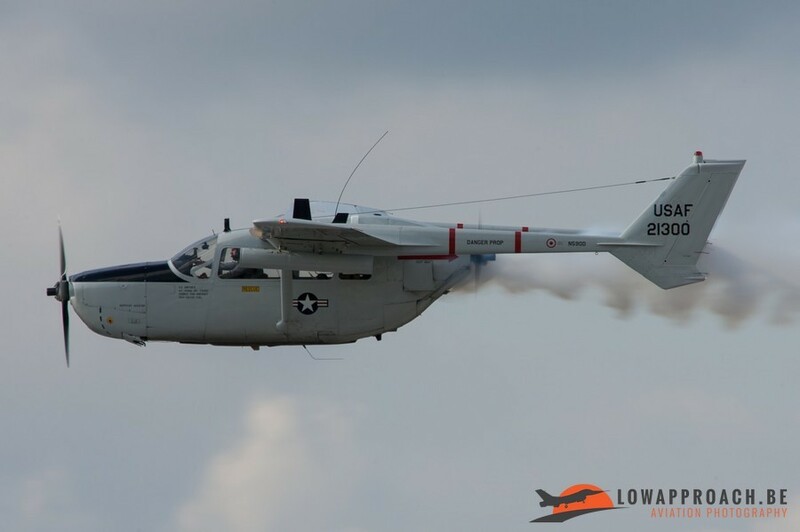 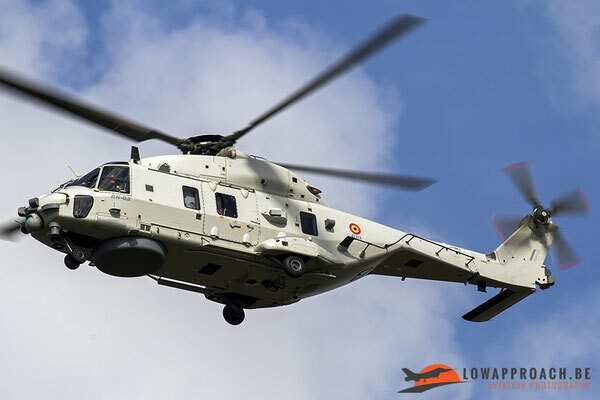 For most members of Low Approach, the Sanicole airshow is the perfect excuse to take some time off work again and go to Kleine Brogel to witness the arriving aircraft that can’t land at Sanicole. 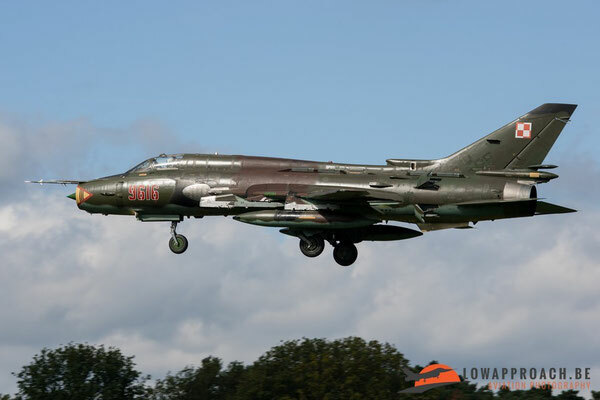 So on Thursday 17th of September we, and a lot of other spotters, stood in the landing at Kleine Brogel to see the first participants coming in to land at this military airfield. 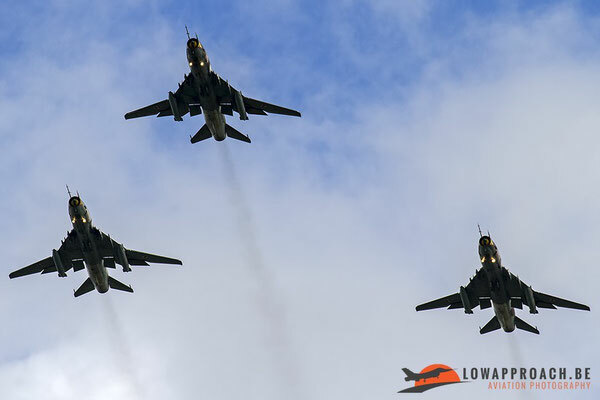 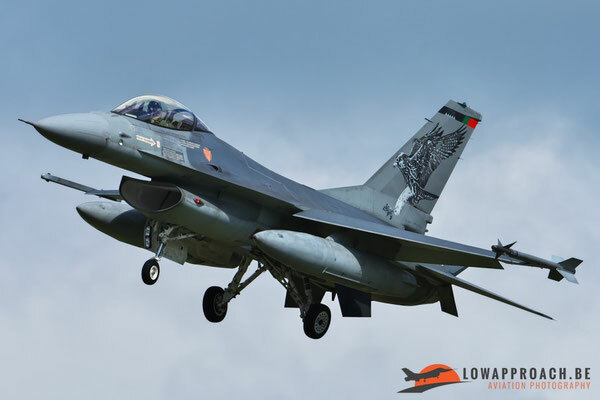 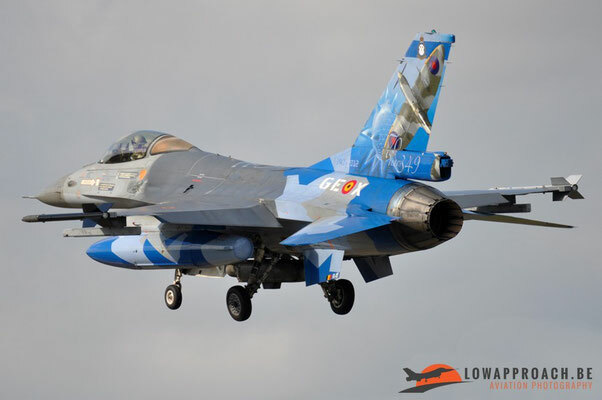 Between the flights of the local squadrons, who are flying on F-16 AM’s and BM’s, we soon saw the silhouettes of aircraft we weren’t used to see over here. 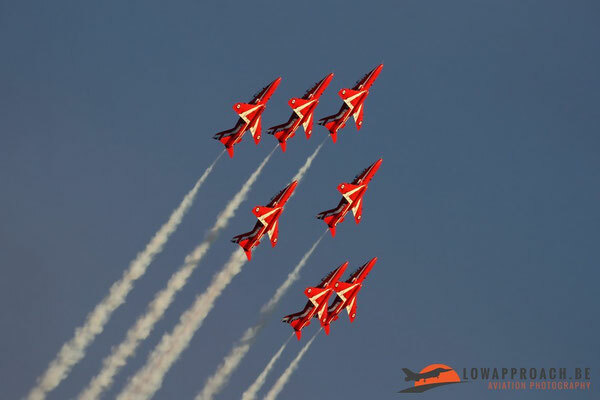 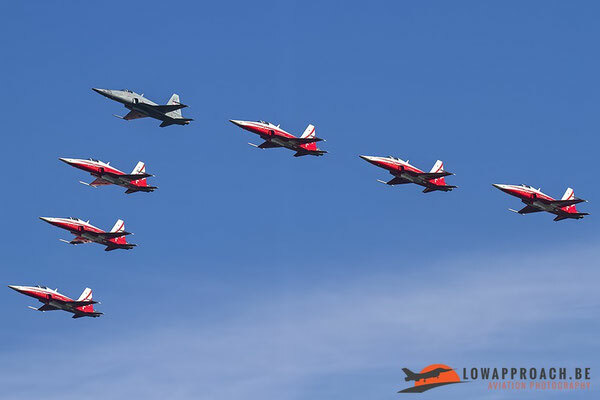 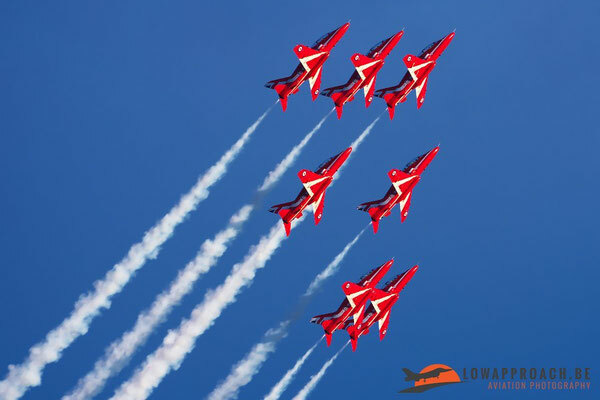 These planes were the first participants for the Sanicole airshow to arrive and it was the Swiss Air Force demoteam the Patrouille Suisse flying on 6 F-5’s. 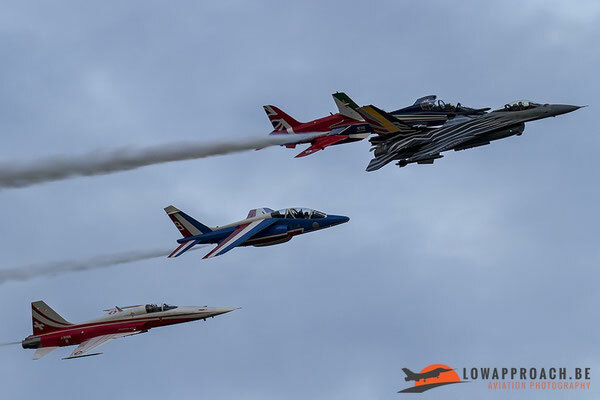 Other arrivals from Sanicole participants on this day, who landed in between the local flights from F-16’s, were the French demoteam Patrouille de France, 2 French Air Force Rafales and the Italian demoteam Frecce Tricolori. 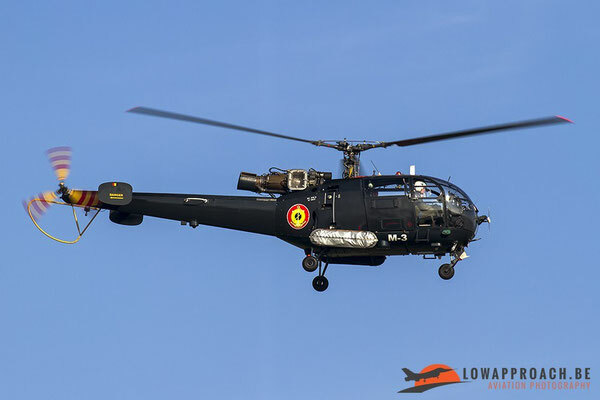 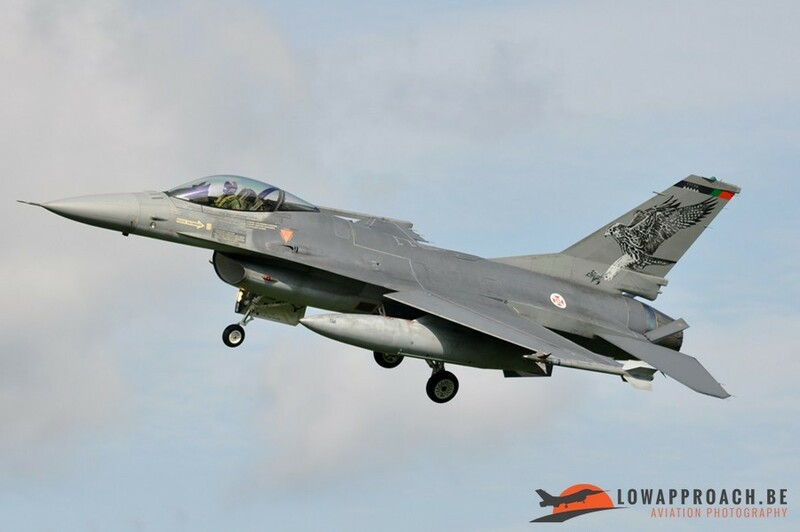 On Friday the 18th of September we went again to Kleine Brogel to see the arrival of the remaining participants for Sanicole airshow. 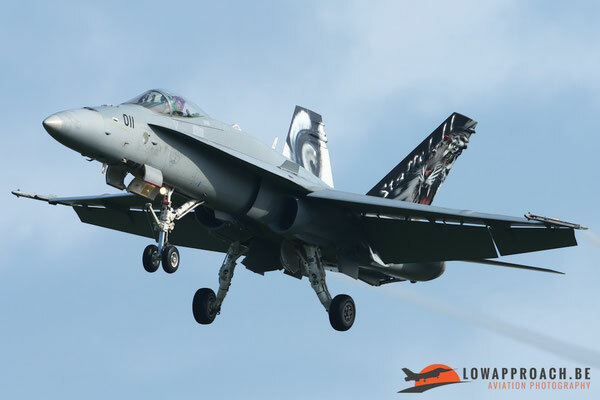 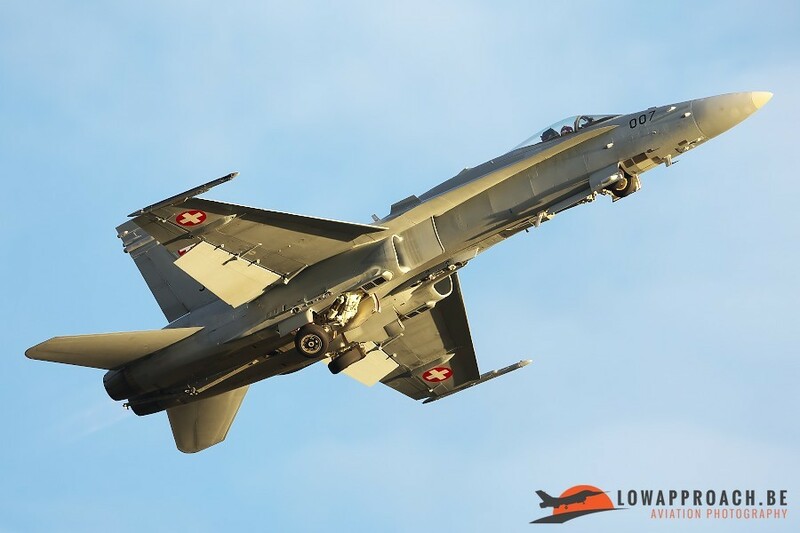 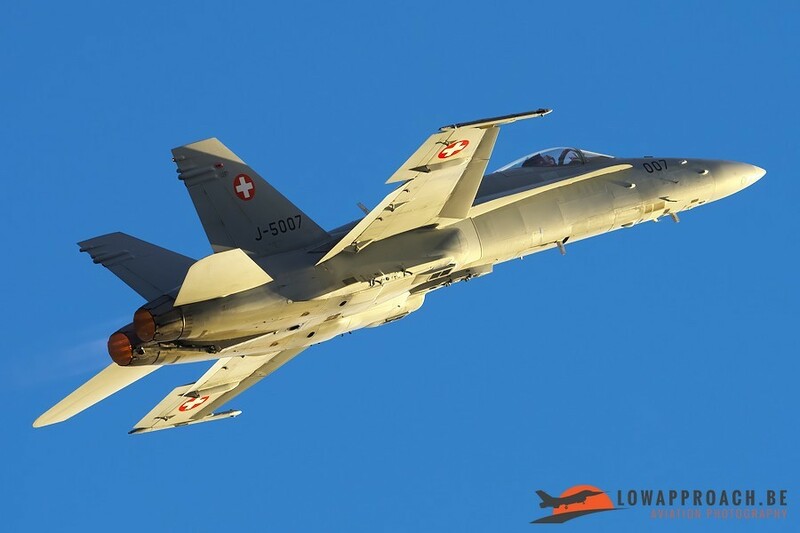 The first aircraft to arrive on this day also came from Switzerland, it was the Swiss F-18 demoteam. Also on this day there was quite a lot of activity from the local F-16’s and the Sanicole participants arrived in between these flights. 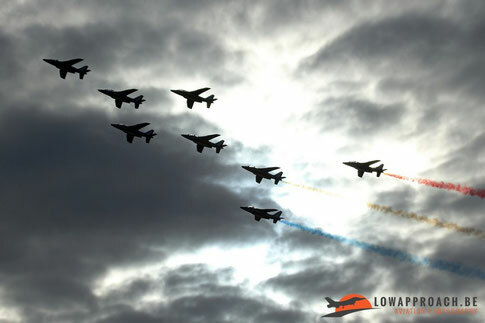 A couple of arriving participants who were the hightlight of this day were the Polish Air Force SU-22’s, the Norwegian DA-20 and the Red Arrows. These last ones paid a really respectful tribute to a pilot from Kleine Brogel, who sadly died in a motorbike accident earlier this year, by performing a missing man formation over the squadron building where the pilot was part from. 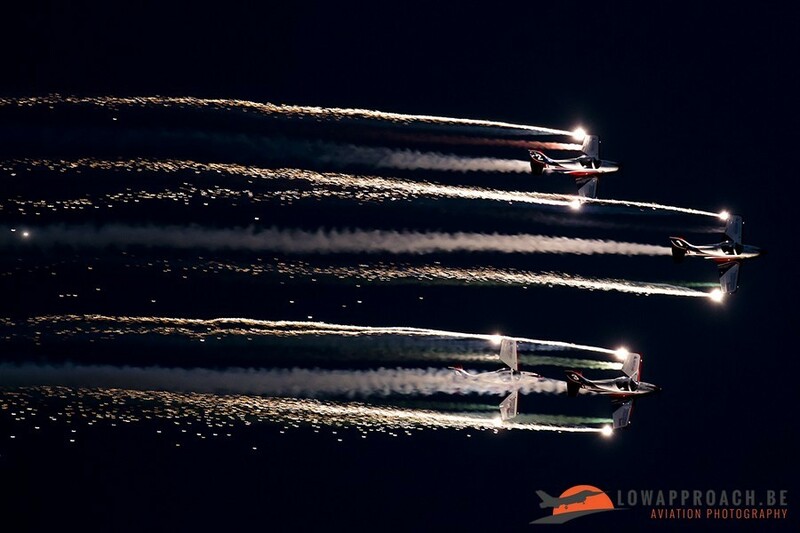 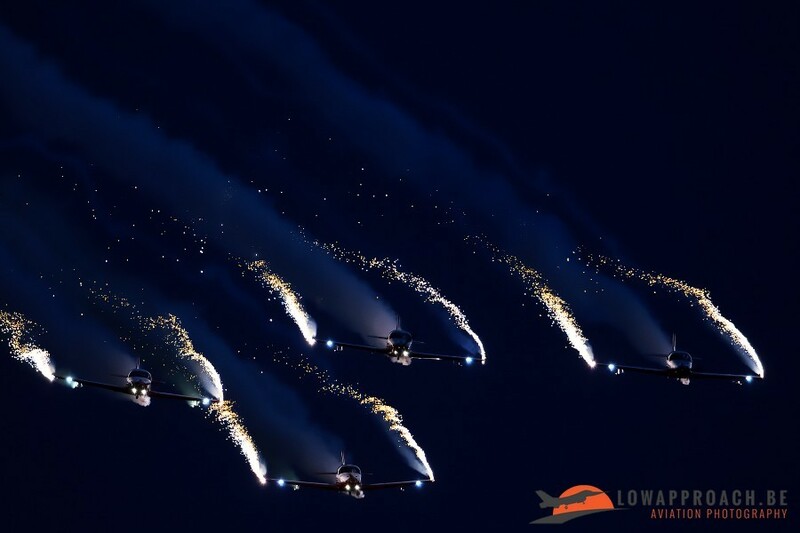 On the evening of the 18th Low Approach went to Sanicole for the fifth edition of the Sanicole Sunset Airshow. 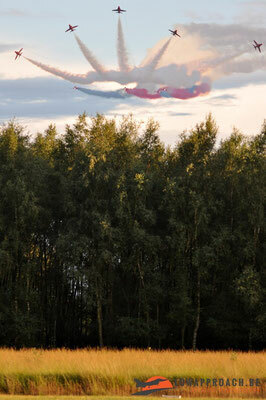 The airshow started in beautiful evening light but the more the sunset show progressed, the more clouds came in. 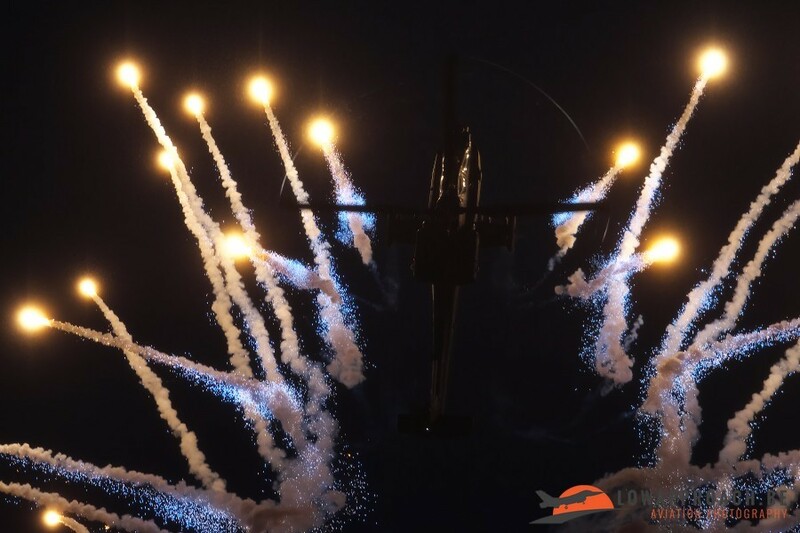 When the highlight from the show was announced through the speakers it was just as if someone turned off the light. 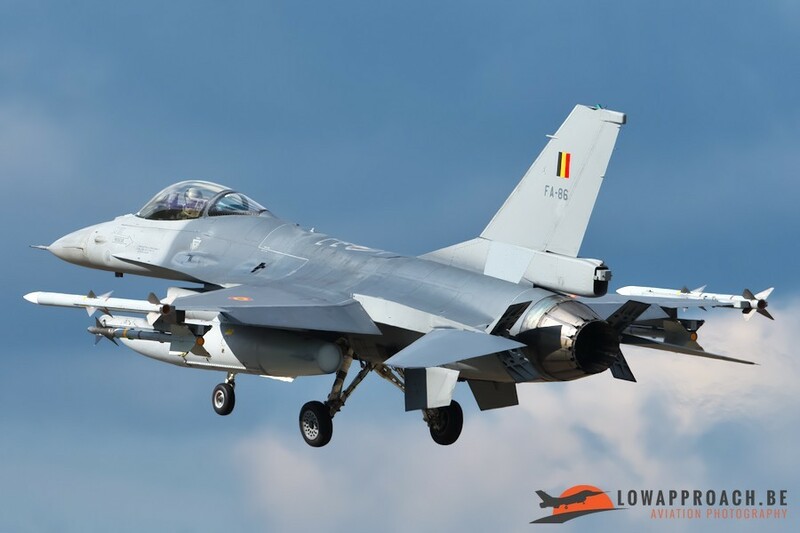 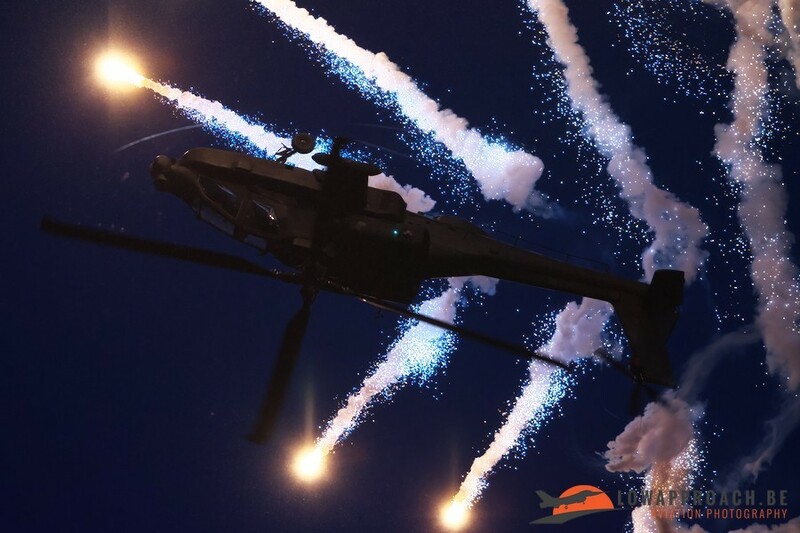 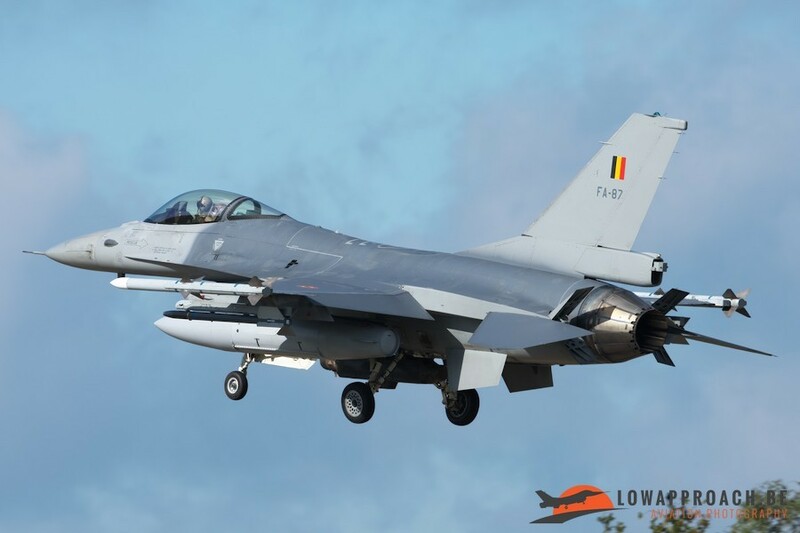 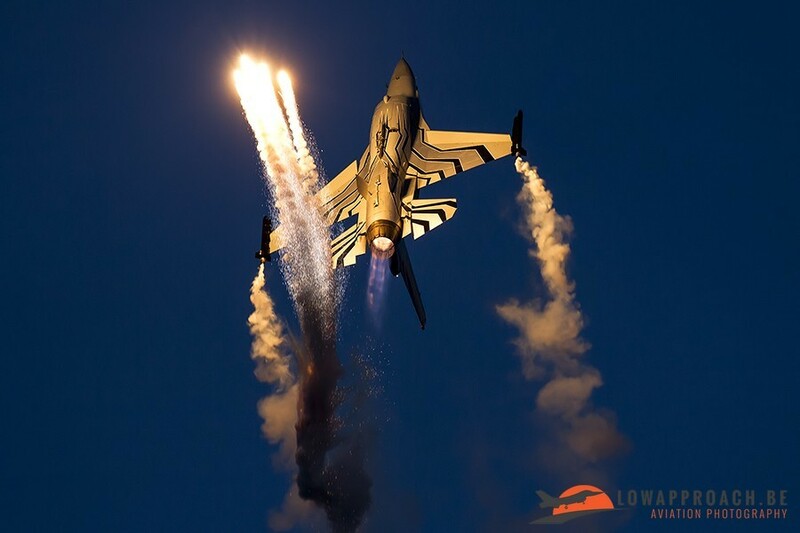 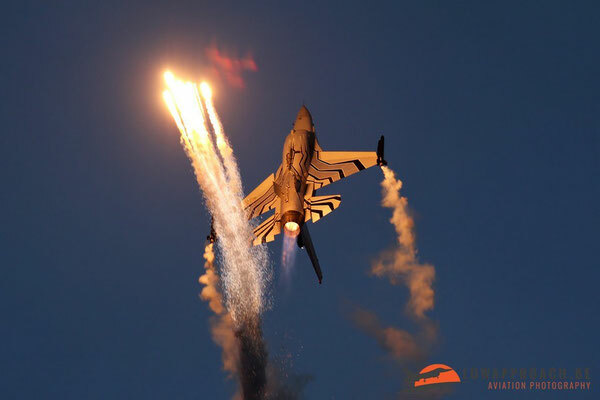 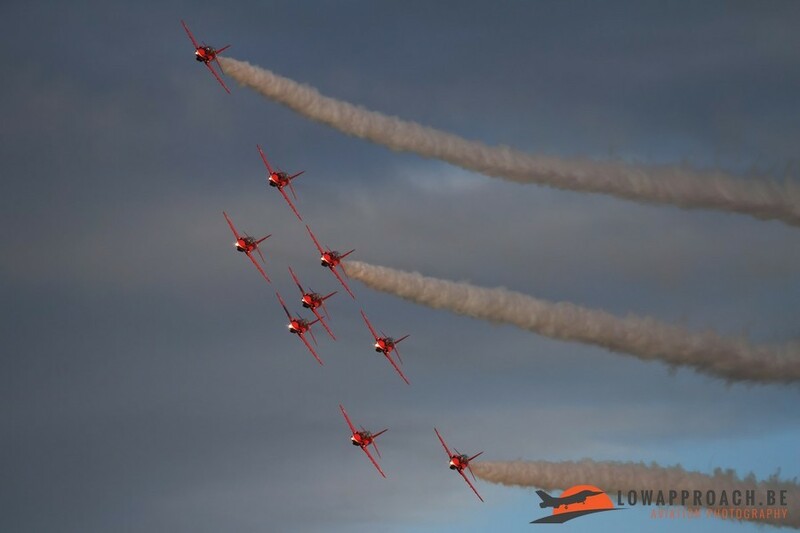 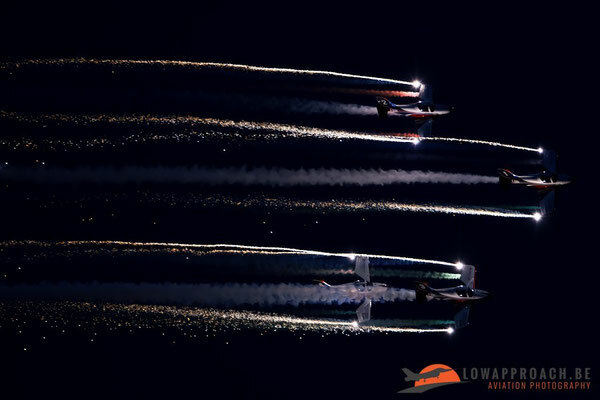 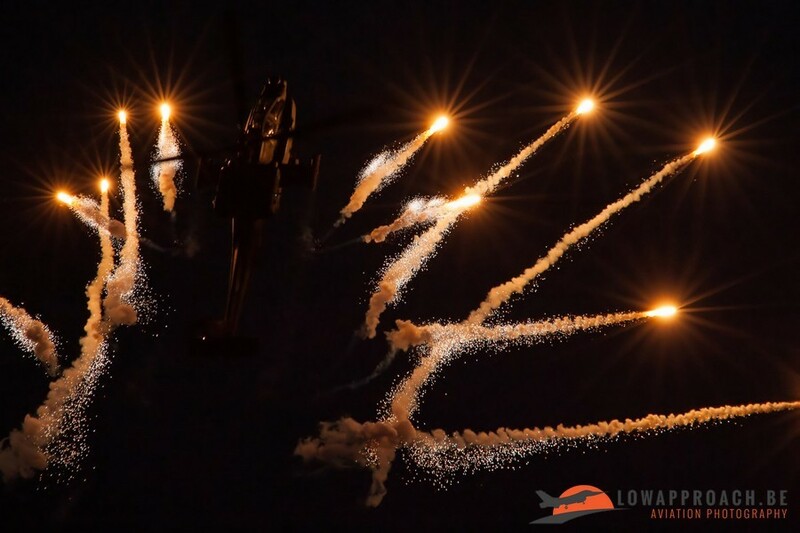 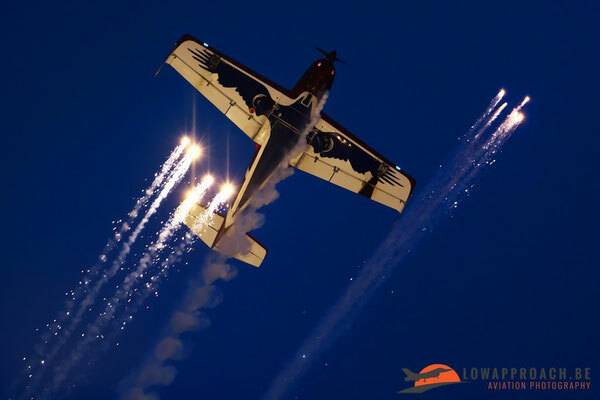 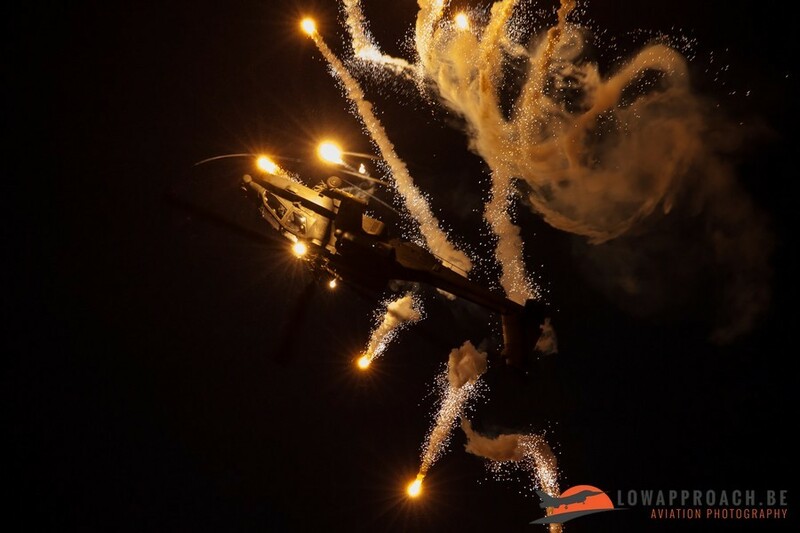 The highlight from the sunset show was that the Belgian F-16 demo pilot led a formation which consisted out of the leaders of all the other military teams who participated during the Sanicole sunset and normal airshow. 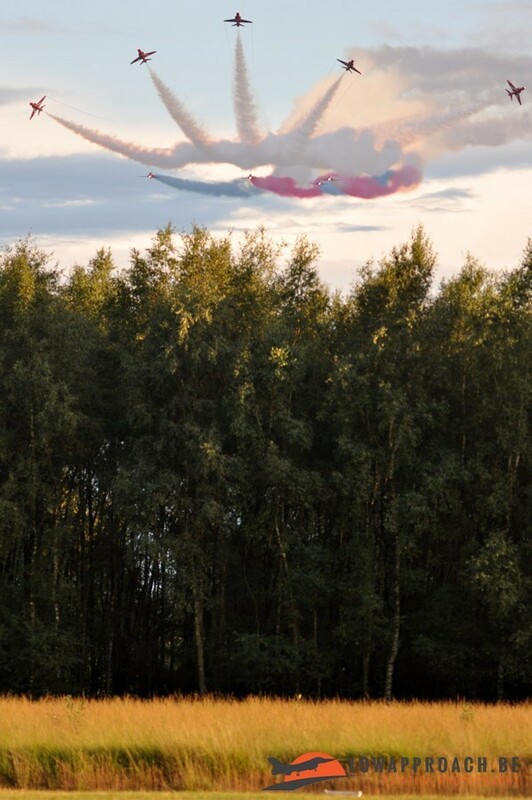 This was a really unique sight! After the couple of fly pasts from this unique formation the clouds became thicker and slowly afterwards it started to rain. The show ended with fireworks but by then it was raining really hard and most spectators were already on their way to the carpark. 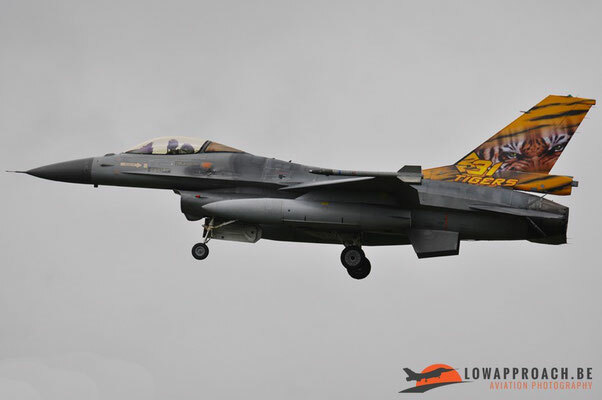 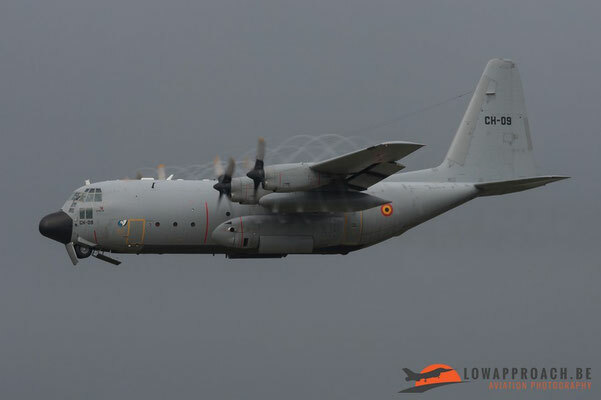 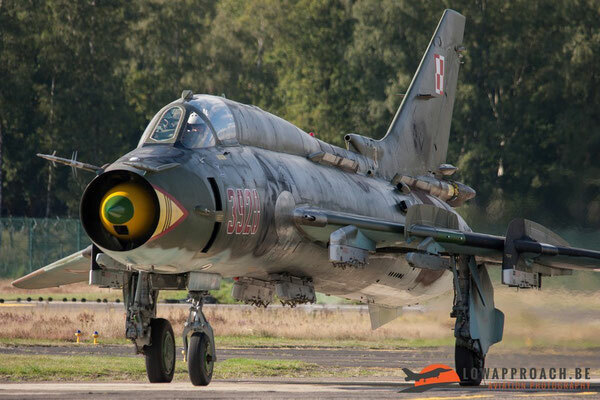 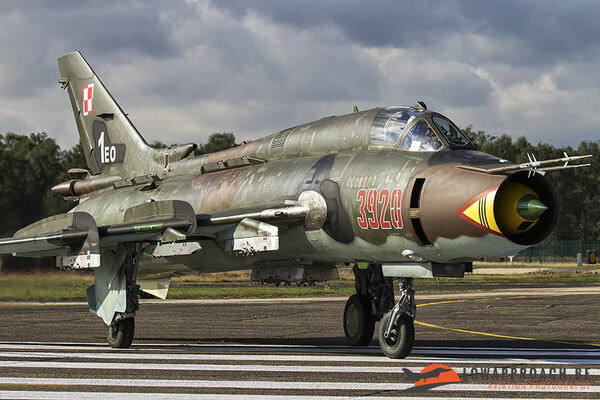 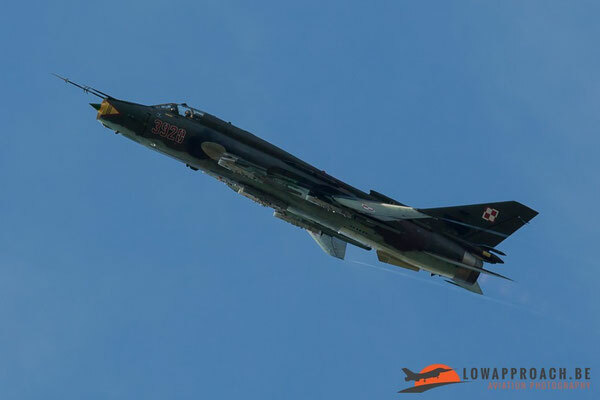 On Saturday the 19th of September a spottersday was organized at Kleine Brogel Air Base. 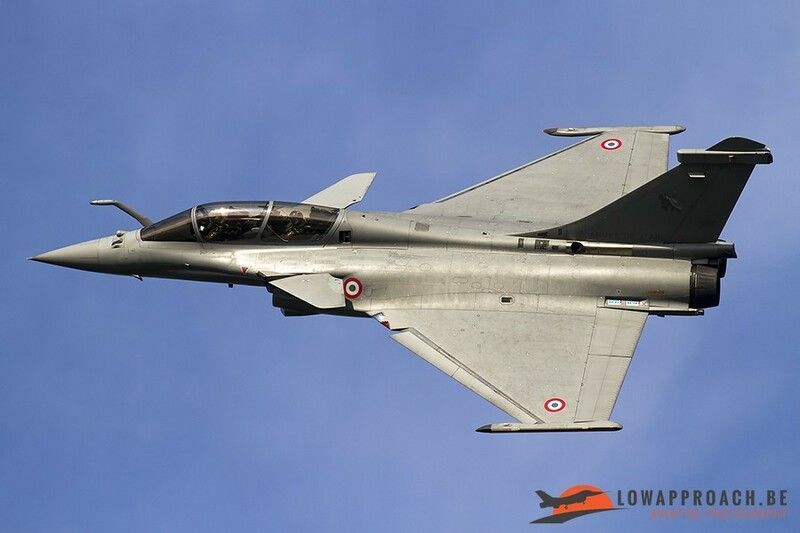 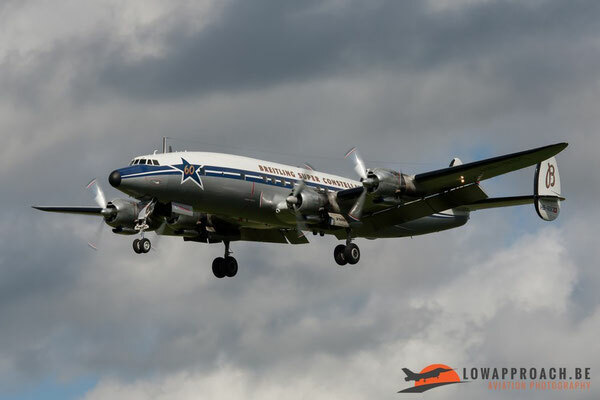 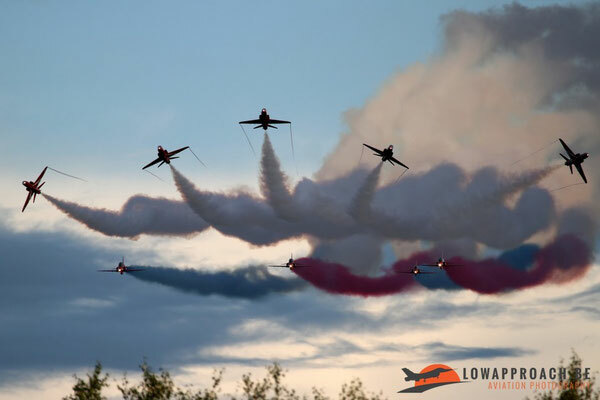 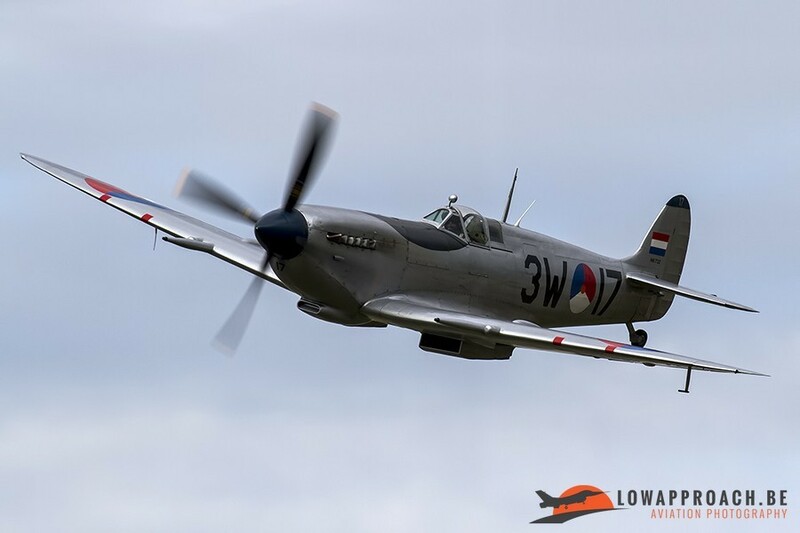 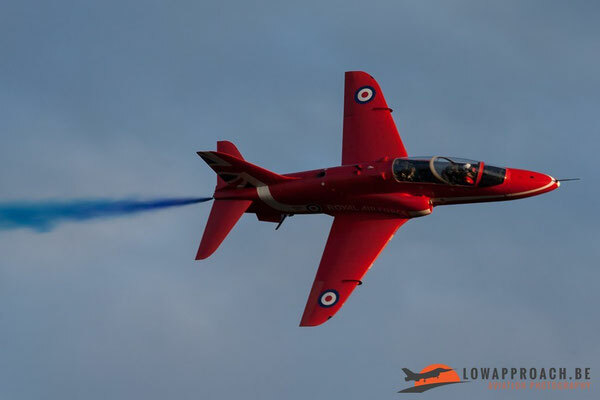 During this day we could witness the start-ups, take-off’s and landings from the aircraft that still had to perform their rehearsals at Sanicole before the airshow on Sunday. Most of the participants were parked on the parallel runway so that they could be photographed very easily by the aviation enthusiasts. The day started really cloudy, it was only until just afternoon that the clouds became thinner and that the sun had the chance to come out. 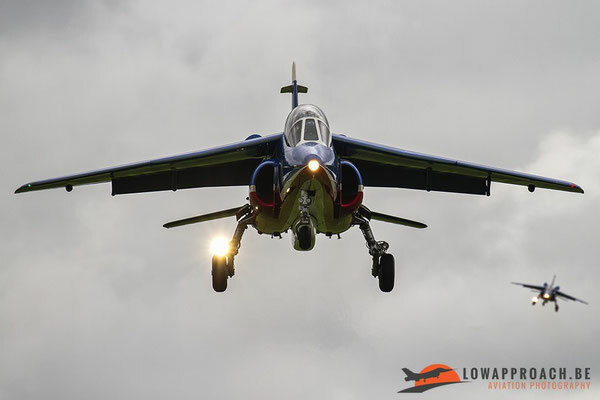 But when the sun finally came through it was just perfect to make some nice pictures from the planes that taxied by, took off or landed. On Sunday it was time for the official Sanicole airshow. 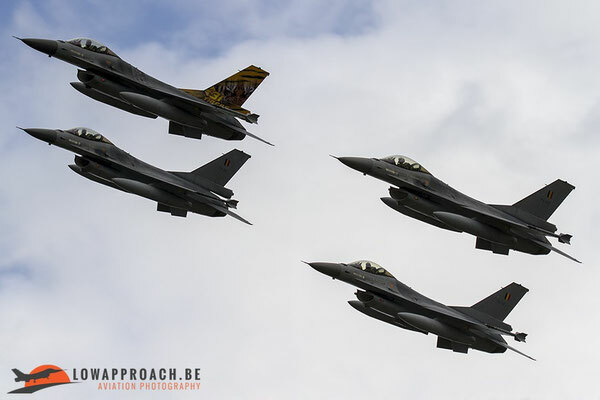 But because you’re having the sun in front of you for most of the day at Sanicole, the members of Low Approach went back to Kleine Brogel to capture the planes when they came back after their display. The day after the airshow a couple of members went back to Kleine Brogel to see the aircraft depart. 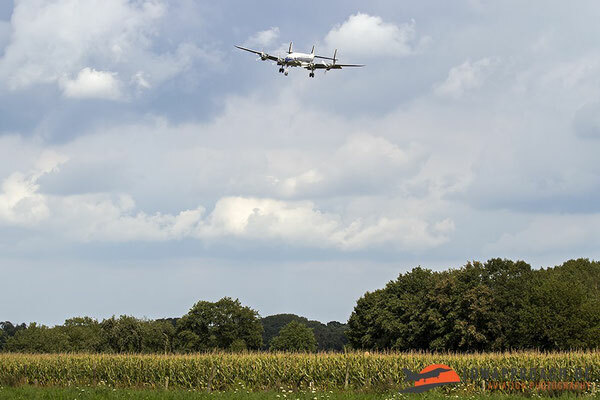 Some of the departing planes did a really nice take-off or flyby which resulted in some nice pictures. 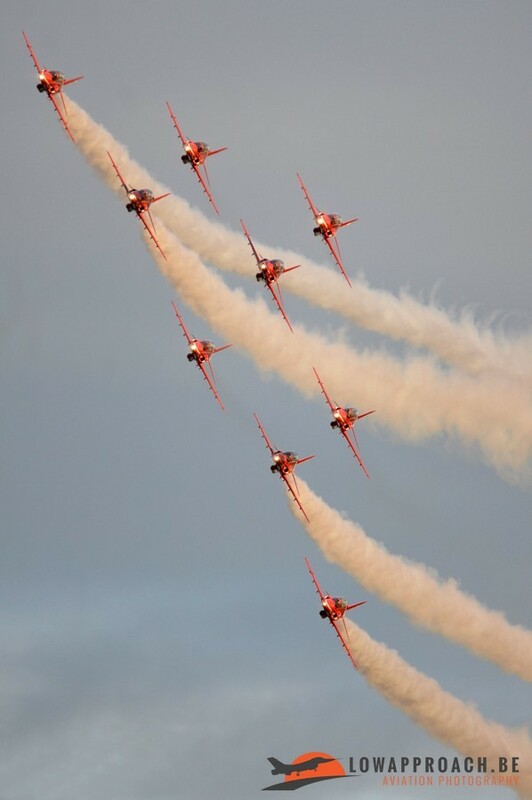 Like the Patrouille Suisse which performed a fly-by when the whole team had joined up after take-off. Then there was the spare Rafale pilot that did a really impressive take-off, waving goodbye with his wings right after take-off while staying low till the end of the runway. 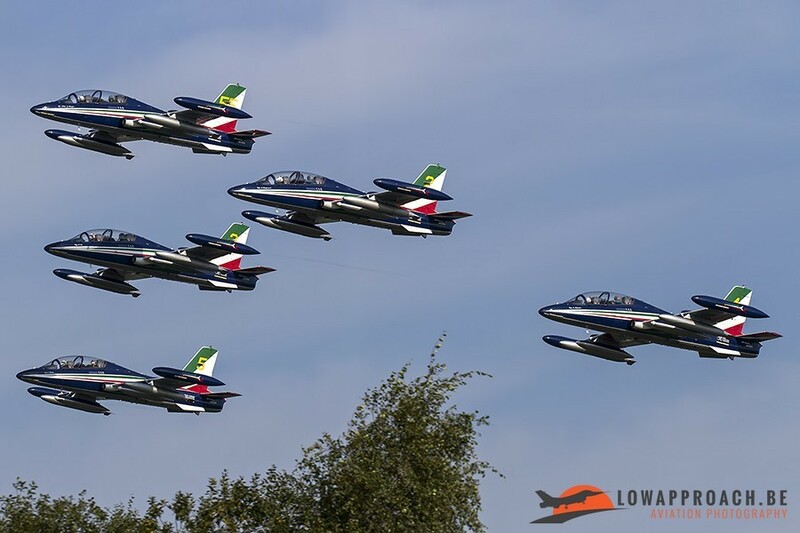 And a last team that’s worth mentioning is Frecce Tricolori, and in particular the solo pilot, who kept their planes also low after take-off! 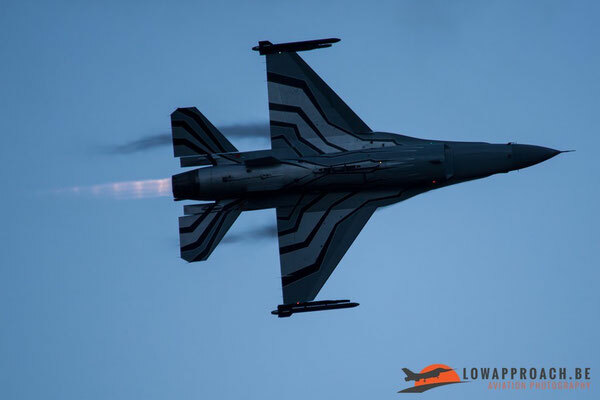 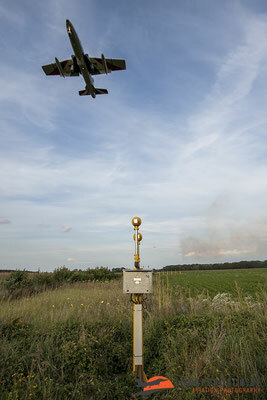 Not long after the last participant from Sanicole had left Kleine Brogel the normal operational flying activity started again at our “homebase”.